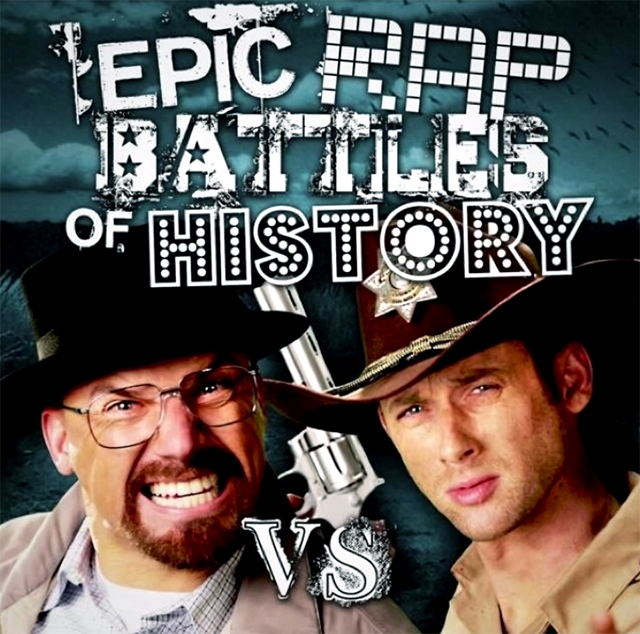 Rick Grimes of The Walking Dead takes on Breaking Bad‘s Walter White in a new episode of Epic Rap Battles of History. The song is available to purchase online from iTunes. We’ve previously written about the epic battles created by Nice Peter and EpicLLOYD.